Hulu is teaming up with The Mindy Project star/creator Mindy Kaling for a new anthology series based on the hit 1994 romantic comedy Four Weddings and a Funeral. Mindy Kaling, who's hit series The Mindy Project is currently airing its final season on Hulu, will write and executive produce. 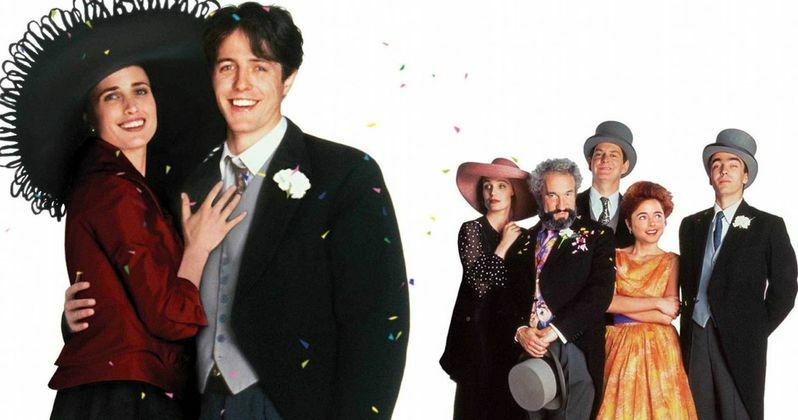 This movie ironically comes a few months after Hulu landed streaming rights to all of ABC's TGIF lineup from the 1990s, although it seems unlikely that this Four Weddings and a Funeral will be set in the 1990s like the original movie. Mindy Kaling and Matt Warburton will executive produce this new series alongside Richard Curtis, who wrote the original movie, along with Jonathan Prince, who Deadline reveals was "instrumental" in putting this project together. Working Title's Tim Bevan and Eric Fellner are producing with 3 Arts' Howard Klein (The Mindy Project). Mindy Kaling is producing through her deal with Universal Television, with MGM Television, which owns the rights to the original movie, also slated to produce. Mindy Kaling and Matt Warburton are believed to be working on two different scripts for the potential comedy series. The new anthology series will be similar to the original movie, following a group of friends whose lives intersect through these five events, with each season of the show following a different arc. While it is still early in the development process, there is talk that there is an idea that they may have different characters in different locations each season, with the lead possibly remaining the same throughout the series. The show is potentially eyeing a straight-to-series order, with Hulu expected to make a final decision on whether this order will be given or not, by the end of this year. The idea for this anthology series reportedly came from Jonathan Prince, who tracked down the rights to the original movie to MGM Television, which produced the Emmy-winning The Handmaid's Tale. The producer had worked with MGM TV on 38 Nooses, an AMC miniseries about the execution of 38 Dakota Indians hanged by the U.S. government. The producer reached out to Mindy Kaling, who brought on Matt Warburton as her co-writer. Given Mindy Kaling's ties to Hulu, which is airing the final season of The Mindy Project, it made the streaming service a perfect fit for this project. It will be interesting to see if any cast members from the original movie will be brought on in different roles. The movie, directed by Mike Newell, starred Hugh Grant in one of his breakthrough roles, along with Andie MacDowell, John Hannah and Kristin Scott Thomas. MGM TV has found success rebooting hit movies, producing FX's Fargo and Epix's Get Shorty, which was recently renewed for a second season. Dealdine broke the news earlier today, and hopefully we'll hear if this show moves forward soon.